Classically styled with a button tufted back and nailhead trim, this upholstered side chair exudes traditional style. an exquisitely upholstered seat and back allow you to sit in unrivaled comfort. This Chair is a perfect addition to homes searching for a traditional vibe. The Terra Upholstered Side Chair with Button Tufting by International Furniture Direct at Dinette Depot in the Brookfield, Danbury, Newington, Hartford, Connecticut area. Product availability may vary. Contact us for the most current availability on this product. 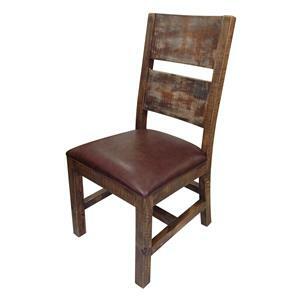 The Terra collection is a great option if you are looking for Rustic furniture in the Brookfield, Danbury, Newington, Hartford, Connecticut area. 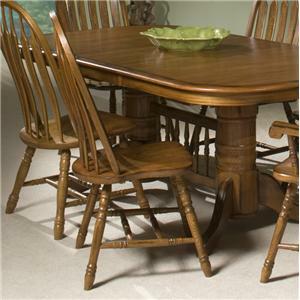 Browse other items in the Terra collection from Dinette Depot in the Brookfield, Danbury, Newington, Hartford, Connecticut area.